It seems to have started at least a decade ago when someone introduced an article on Sherry by saying that people shouldn’t confuse it with that sweet drink that your grandmother would sip on. Others thought that this was a great hook and it continued and continued, not stopping. Then, in 2016, it exploded and this comparison to grandma’s tipple seemed to become the de facto way of introducing an article about Sherry. Hell, even DO Sherry wasn’t immune. We have arrived at a point where this trite trope, has long since jumped the shark. It’s tired, repetitious, unoriginal, and most importantly, it’s doing nothing to aid in carving out the better image for Sherry that it deserves. For instance, if someone introduces themselves to you and says, “Hi, I’m Bob, I’m a former prison convict.” no matter what Bob says for the rest of the conversation, you’re just picturing a guy in a jumpsuit and wondering if he did or didn’t shiv anyone while in the slammer. 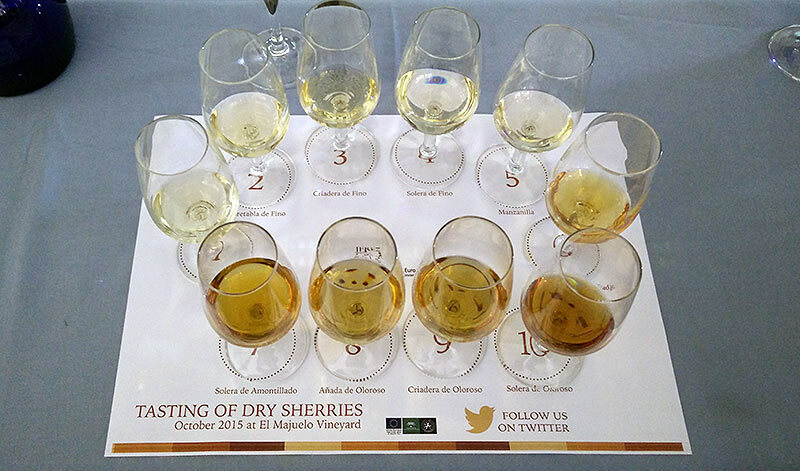 Anyone who writes about Sherry does need to keep in mind that people may still hold prejudices towards it, but you can’t stop to address them as you’ll win few hearts and minds in doing do, at least in an article as a tasting is a much different beast. You have to be proactive, soldier on, talking about the various styles of the drink if you like and then move on to talk about how incredibly well it pairs with any food you throw at it, is refreshing, and is essentially the southern counterpart to Champagne. That last one is a comparison I think we could do with a lot more often as Sherry, much like Champagne is a wine that’s so much more about the process (the oxidative aging through criaderas) than it is about the grapes that go in to it. It’s a beautiful drink with a lengthy history and people who pull grandma and her sweet Sherry out of the closet make me believe that they don’t really understand the drink. That’s great if your grandmother or shut-in aunt loved drinking the sweet one. That’s still made and it’s there if they want it. Also, if you want a snazzy syrup for your pancakes or ice cream, Pedro Ximénez will be a friend to you as well. But let’s hear more about the dry Sherries, which are to say, the real Sherries. They’re fantastic and waiting to be written about by people who can avoid copying and pasting the first paragraph from every other article that’s been written about Sherry for the last decade.